In 2012, nearly 15% of the women in Canada (aged 15 years or older) reported at least one disability that affected, or limited, their daily activities. As for men, the number was closer to 12.5% which clearly indicates a difference between women and men; women are more likely to suffer from a disability than men. In fact, these disabilities can also result in various forms of inequality, such as; unequal access to cultural, social, economic, and even political resources. For instance, almost half of disabled men and women aged 25 to 54 reported employment disadvantages as a result of their disabilities. General statistics in respect to disabilities are already quite telling on their own. However, when you factor gender into the equation, it really shines a light on the issues of today. Special studies have been conducted in order to determine a number of factors that can be tied to disabilities; including, transit and agility-related devices used by women with disabilities. The data gathered from these studies was then compared to the data of men with disabilities. More than 80% of women and men with disabilities have reported using at least one assistive device or aid. The use of these devices increased with the severity of the disability. Over 70% of women with moderate or mild disabilities used such devices, while more than 90% of women with severe to very severe disabilities reported using at least one assistive device or aid. Overall, the numbers reflect that a larger number of women, compared to men, were dependent on these devices. In fact, 80.5% of women and 76.1% of men reported using agility-related or mobility aids. These aid included canes, orthopaedic footwear, and widened doorways. With both men and women, the use of these devices increased along with the severity of their conditions. Almost half of women with severe to very severe disabilities reported difficulty with transit services. Only 21% of women, and almost 18% of men, with disabilities reported the regular use of public transport (i.e. subway or bus). Over 20% of women, and just over 16% of men, with severe, or very severe, disabilities reported using public transportation. This shows just how important the transit system is in their daily lives. Comparatively, only 8.7% of women and 6.3% of men regularly use specialized transportation such as a special van, bus, or even a subsidized accessible taxi service. What the study determined was that the severity of their disabilities is directly related to the increased use of specialized transit. Almost half of women with severe disabilities, who use public transport or specialized transport, also reported difficulties. 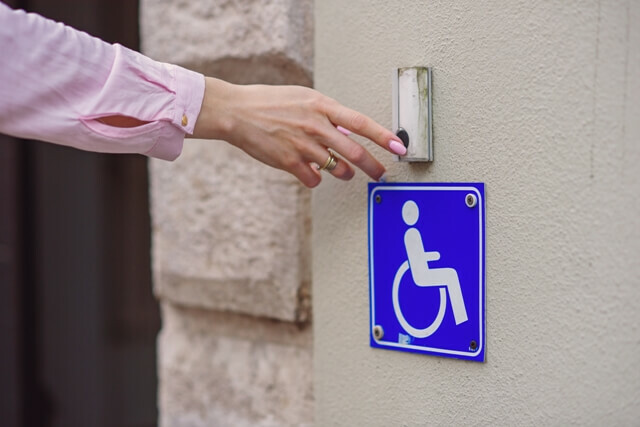 While some difficulties are more severe than others, there is no denying the fact that disabilities affect the way such facilities and services are accessed. The greater the disability, the greater the difficulties can be. These details clearly show that the number of women with disabilities exceeds the number of men. In addition, it also shows that the environment is not always supportive of those with functional limitations. For those without mobility issues, it is difficult to imagine the type of struggles someone with disabilities faces on a daily basis. Something as simple as picking an object off the floor is difficult, or even impossible, for certain individuals. 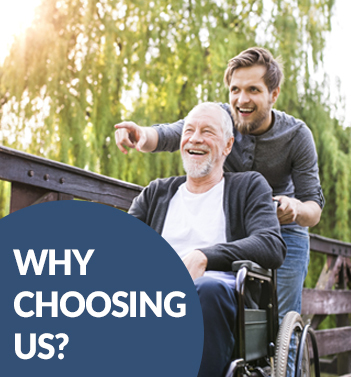 As such, mobility devices have become a crucial component in these individuals’ lives. While they help disabled persons get around, and lead as normal a life as possible, sometimes the equipment prices can be rather steep. Take wheelchairs for example; not only do they need to be purchased, but they also require timely maintenance. Other instances that can prove to be expensive are when you are required to make alterations to your property due to the disability; like widening doorways, or installing ramps or railings. Since more women suffer from disabilities, they are also likely to suffer more in terms of accessibility. In addition, many women struggle with employment issues; whether they cannot find employment, or they are only able to work part-time, it can have a serious effect on their ability to earn a decent wage. On top of all the usual expenses, there are also added costs involved with care. Some expenses might be one-off, like certain structural modifications, while others may be recurring expenses; like therapy, medications, as well as equipment maintenance. This is why disability tax credits are the answer for so many Canadian families. While there is only ever so much that can be done to resolve public transport accessibility issues, there are other ways around this problem. In order to cope financially, tax credits can be used to cover these additional expenses. Thanks to this financial relief, life can be that much more manageable. Instead of struggling to pay the bills, and additional expenses, you can rest easy and enjoy some room to breathe. Once you have been granted a disability tax credit, you can then apply for further credits and benefits. Each of these benefits requires its own application, and they each have their own limitations; such as, financial maximums and time limits. 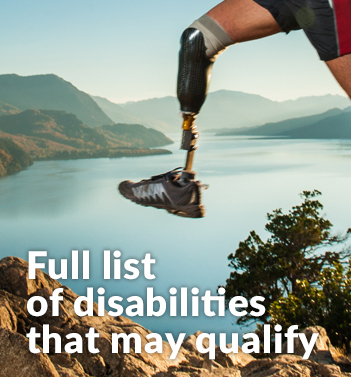 For expert assistance in applying for your disability tax credit, contact Tax Benefits Canada at +1 (855) 413-6971 today.